Bundesliga giant Bayern Munich has named Jupp Heynckes as head coach until the end of the 2017/18 season following the sack of Carlo Ancelotti last week. The German champion made the announcement on their website, on Thursday. The 72-year-old retired from football following the 2012/13 season, in which he led the Bavarians to an unprecedented treble of Bundesliga, DFB Cup and UEFA Champions League titles. Heynckes also bagged the FIFA World Coach of the Year award in 2013. Ancelotti was relieved of his duties in the wake of Bayern’s disappointing start to the current campaign, with a 3-0 defeat away to Paris Saint-Germain in the Champions League proving to be the final straw for the club’s hierarchy. Assistant coach and former Bayern right-back Willy Sagnol took over the reins of first-team for Matchday 7, a 2-2 draw away to Hertha Berlin that leaves them five points behind Bundesliga leaders Borussia Dortmund. 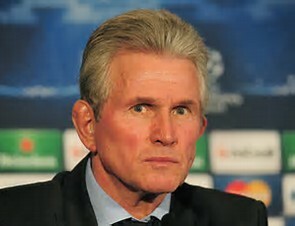 This will be Heynckes’ fourth spell at the club, having previously been at the helm from 1987-1991, a five-game spell in 2009, and again from 2011-2013.